According to the Department for Transport, single carriageway A-roads are the most dangerous in the UK. It is on these roads that the rate of deaths and serious injuries are at their highest – higher than motorways and busy dual carriageways. In fact, on A-roads, road users are eleven times more likely to be involved in an accident than when riding on a motorway. And, as we know, despite motorbikes accounting for just one per cent of all vehicles on UK roads, motorbike riders account for 19 per cent of all road deaths. That makes motorbike riders 38 times more likely to be killed in a road traffic accident, per mile ridden. Figures released by the Department for Transport (DfT) show that the number of fatal or serious accidents on A roads and motorways has grown by almost three per cent for the year ending September 2014 – so the problem isn’t going away. Riding on country roads is one of the highest contributors to motorcycle deaths, which is why The Bike Insurer has compiled this list of tips to keep you safe on A-roads. The vanishing point is the point at which the two kerbs of the road meet and you cannot see any more road beyond it – the X marks the rough vanishing point on the above image. You should use this to monitor what is coming up ahead and that in turn will influence your riding. You should use the vanishing point as a time gauge, with the throttle used to maximise the amount of time you have to react. As the vanishing point gets closer, you should ease off the throttle to give yourself more time to adjust to the road’s new direction. And your road position should then change, dependent on where the road is now going. If the road is arcing to the right, try to position yourself two thirds of the way to the left of the lane and vice versa if you’re going the other way – this puts enough distance between you and oncoming traffic whilst also pushing the vanishing point further away. If that’s coupled with less throttle then you have more time to adjust to that new, altered vanishing point and the direction of the road. You can watch a film or look at a painting without really taking the subject matter in whereas if you observe it you take in what your eyes are focusing on – this is an important distinction when you’re riding. You should observe your environment – pay attention to the road surface, the direction of hedgerows and any hills or inclines – and use any clues you can spot to stay safe. 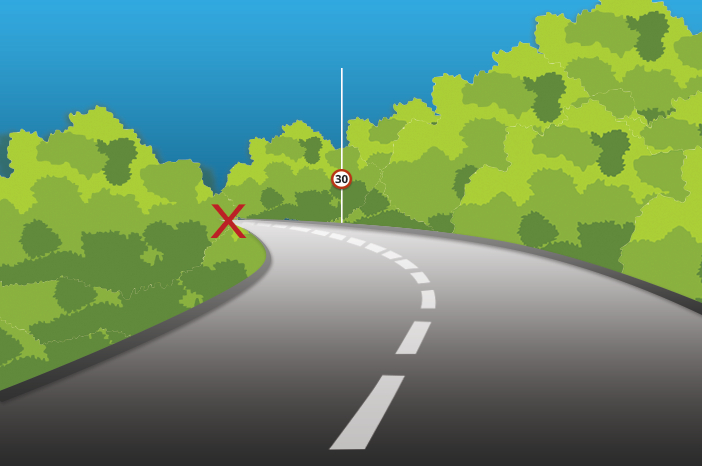 If you notice the hedgerow turning sharply to the left, you know that you’re likely to have to do the same, so you should adjust your speed and road position to cope safely with this change. Similarly, if a hedgerow stops suddenly, it’s likely that you’re coming to a junction, a potential hazard, and again you should adjust your speed to cope with any potential hazards that a junction might throw up (or out). 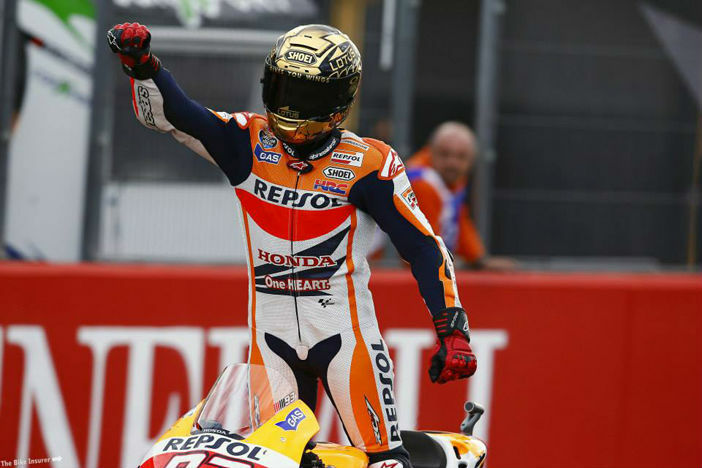 You’re not Marc Marquez, so don’t try and ride like him. Like anything, riding is about practice and the more practice you have the more experience you acquire and the more knowledge you have of your own capabilities. It’s important that you are aware of your riding ability and important that you ride to that ability and not to somebody else’s – this is especially important when riding in groups. If you are new to the road, or inexperienced outside of city commuting, you should adjust to your own ability as well as your surroundings. Ride within your comfort zone and do not push your ability to its limits. You need to know the ability and limitations of your motorbike. If you’re on a Honda C90 and it’s laden with baggage, you’re not going to be able to overtake the car in front, or at least, it may take longer to do so than normal. Like the rider, a bike should never be pushed to its limits – stay in its comfort zone as well as yours. Country roads sweep left and right and rise up and down. There are crests, drops, bends and turns, all of which require attention. It’s important to lift your head and look at what’s coming up – the earlier you spot a potential hazard, the more time you have to deal with it safely. Brake and adjust before a bend, not on it.